When I'm walking through my local farmer's market on Saturday mornings, I always develop an overwhelming urge to make a big salad. And since I can't resist buying all the things, a salad is a great way to use them. On a recent Saturday I found beautiful baby arugula, haricots verts (French green beans) and edible flowers. One French inspired salad coming right up. I added roasted beets and made a shallot vinaigrette to dress it all. 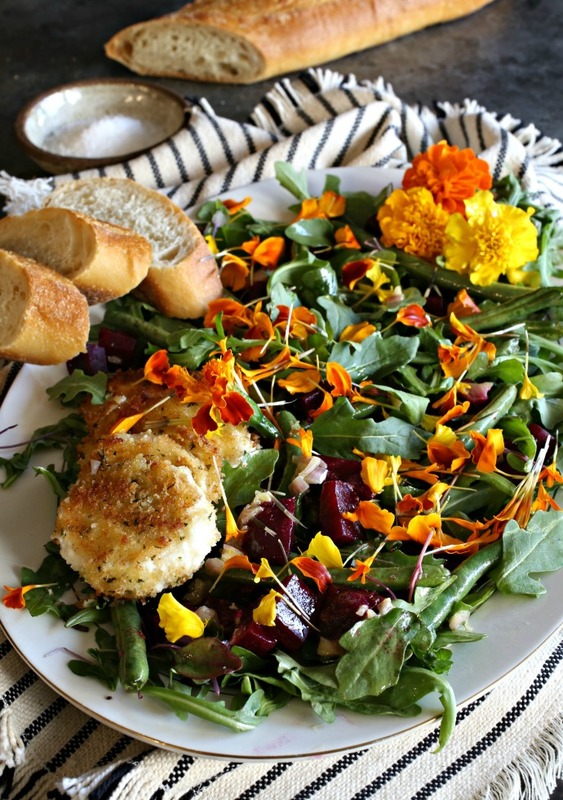 But the crowning glory of this salad was medallions of fried goat cheese. Crispy on the outside, warm and melty on the inside and served with a crusty French baguette on the side. I love President Cheese's goat cheese logs and that's what I used here. 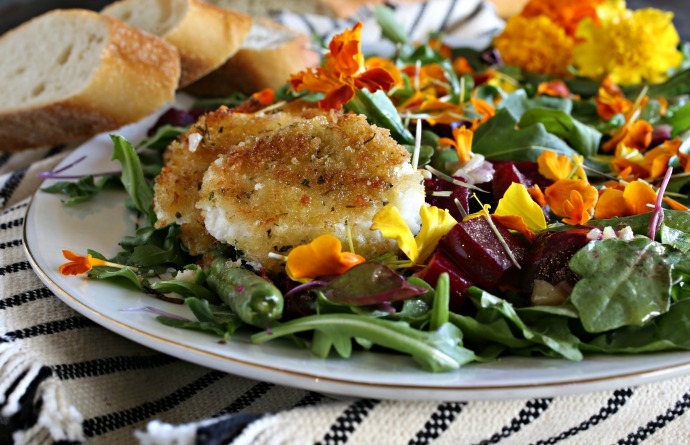 Find my recipe for the salad, the dressing and the amazing fried goat cheese on their website. Enjoy!